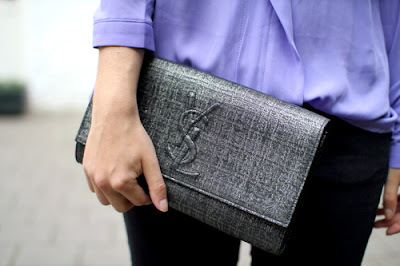 YSL Belle de Jour clutch was introduced for AW11 collection. 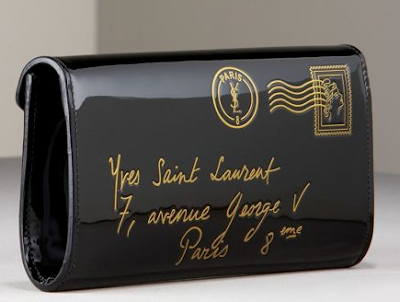 Saint Laurent’s leather Belle de Jour clutch will add a hit of luxury to your evening look. Exuding statement style and elegance, this smart and stylish leather accessory is a must-have for chic dinner-dates and formal evening events. The clutch is versatile in terms of being a day-to-night bag. 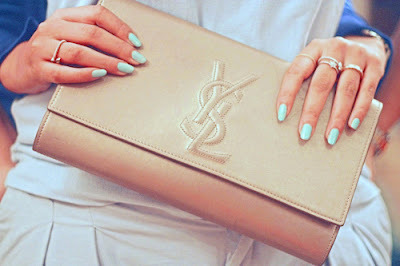 Embossed with a subtle designer motif, Yves Saint Laurent’s patent-leather clutch is the perfect way to incorporate the label’s signature glamour into your look. Sleek and sophisticated, carry it to complete a monochrome evening look. 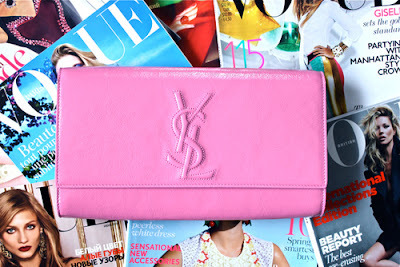 YSL Belle de Jour clutch is made in Italy.